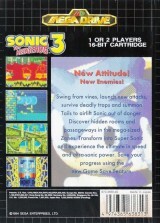 Sonic The Hedgehog 3	Contribute! 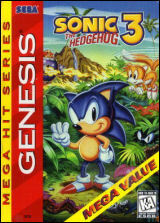 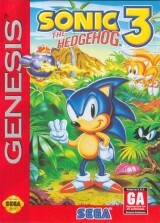 Sonic The Hedgehog 3 (Mega Hit Series)	Contribute! 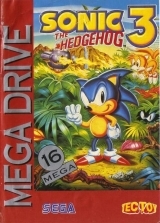 Exists both as PAL and NTSC version. 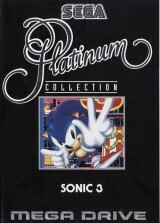 Sonic 3 (Platinum Collection)	Contribute! 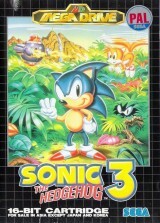 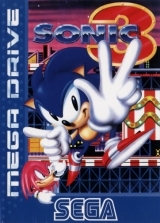 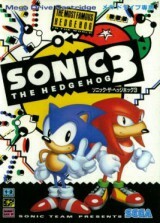 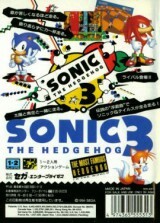 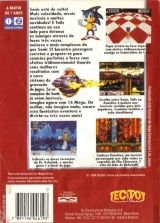 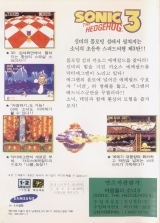 There are two variations of the korean version of Sonic The Hedgehog 3. 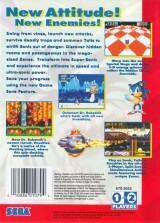 The first one has a serial number on the spine the other one does not. 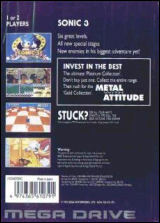 The insert and label artwork cropping differs from one version to the other. 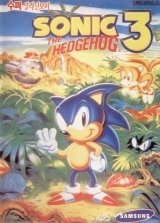 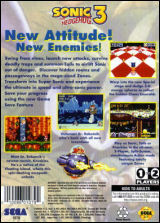 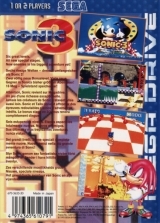 Sonic The Hedgehog 3 (Rental version)	Contribute!